You can reach Social Security Office in Kenner, Louisiana at the following street address and contact number, as well as using directions below. Please, share your experience about visiting this office, provide a review using the form at the end of this page. Directions: Exit North From I-10 To Williams Blvd. Joe Yenni Is The Last Street Before Getting To The Treasure Chest, Take A Left. 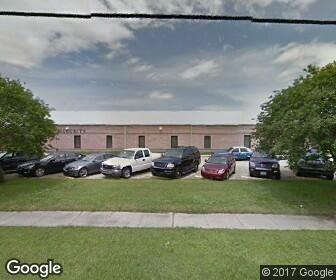 We Are The Second Building On The Right Side Of Joe Yenni. Note This Is In Kenner And Not In The "joe Yenni Building." I want a person to deal with to take care of this and it appears impossible to call the Kenner, La office because the telephone number is not provided. this office is very hard to deal with omg the staff has the worst attitudes like where did social security find these people?? I recommend the New Orleans location they are very professional. It's sad I have drive from kenner to New Orleans because the staff is horrible. I have never felt so disrespected in my life. Please don't go to this office unless you really have, long wait no one was in the office for me to wait and hour and still wasn't seen in time.I came in on my lunch they are the rudest staff I have seen I'm not a person to ever make anyone's job hard or give anyone a hard time. I wouldn't ever recommend this location. They talk to you like crap. I would like to find out why my social security check is less this month than before? Looks like medicare went up??? Thanks. This office is very hard to contact. small office and long wait. I would like to make an appt. to see someone. there. I have no phone # to call.